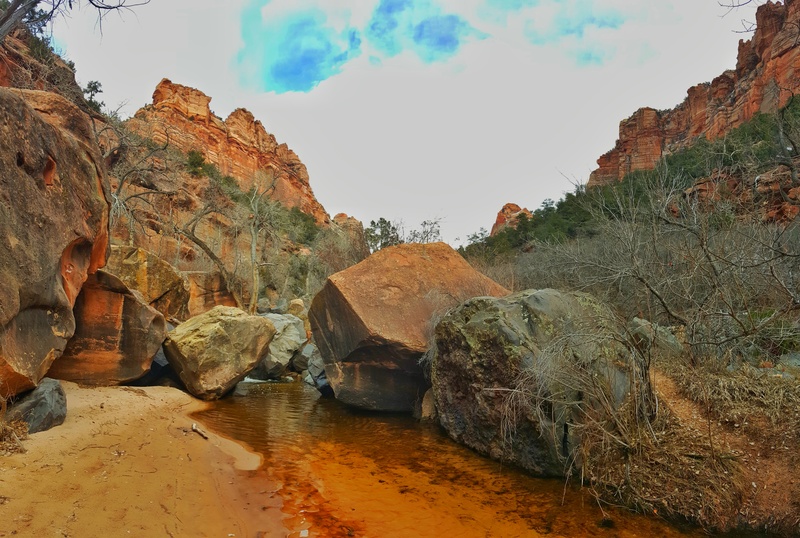 Zion National Park is one of the best and busiest parks in the United States. Located in Southern Utah, this is our favorite region to explore some of our best national parks, including Zion, Bryce Canyon, the Grand Canyon, Vermillion Cliffs National Monument, and the Grand Escalante Staircase. 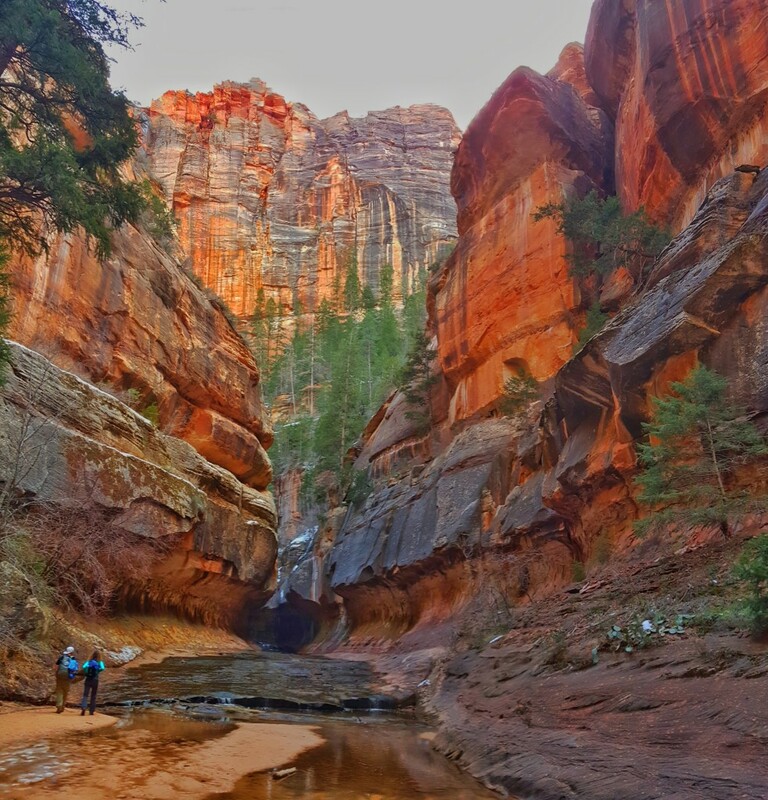 Zion has three hikes, the “Big 3,” that are some of the best in the country. 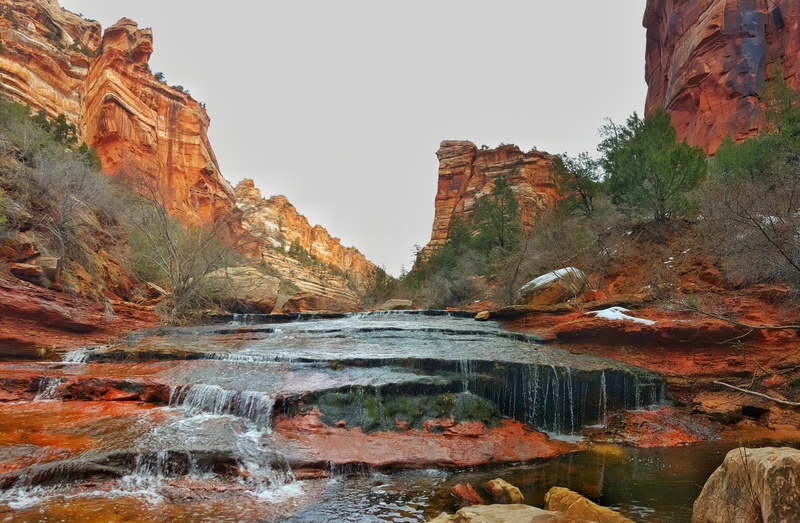 These hikes are Angel’s Landing, the Narrows, and the Subway hike. 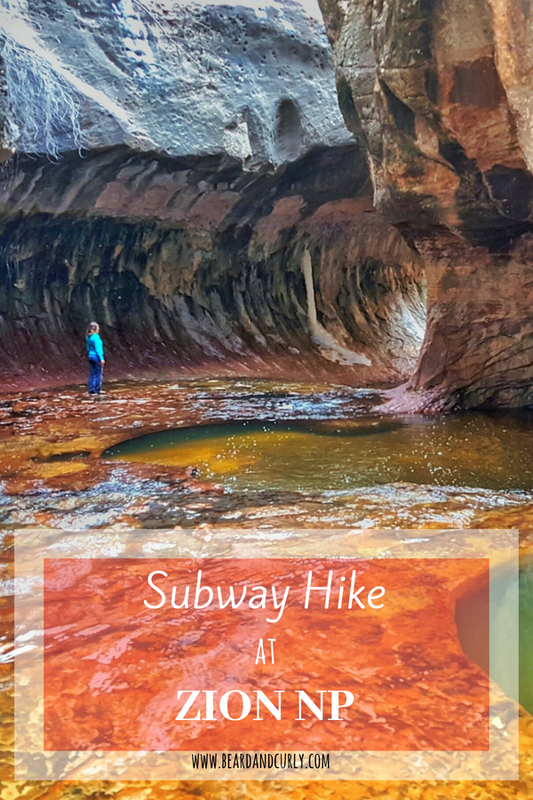 The Zion Subway hike is an incredible hike that is often a favorite at Zion, in particular with photographers. 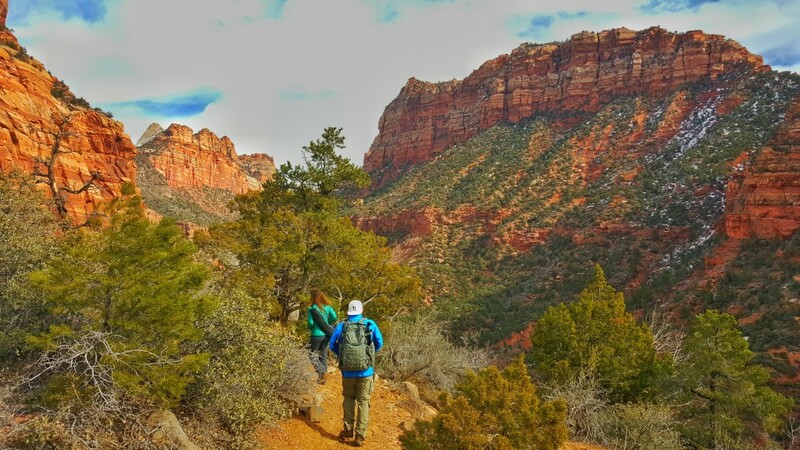 There are two ways to hike the Subway Zion hike, either “top down” or “bottom up.” These require different gear and different skill sets. The “top down” trail into the Subway is an exciting way to do this hike. This route is proper canyoneering with the only way into the tunnel by rappelling into the canyon. Knowledge of rappelling, having the proper equipment, and all safety measures is important for at least one member in the group. This route into the tunnel also requires some swimming. 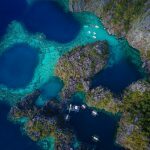 There are dozens of canyoneering companies where you can rent gear and get helpful information. The “bottom up” route from the Left Fork Trailhead does not need any technical climbing skills. Aside from the original descent to the riverbed, the trail is relatively flat. This trail requires maneuvering through the river bed and ends at the tunnel. Depending on water levels, sections of the river be between ankle-deep and knee-deep. 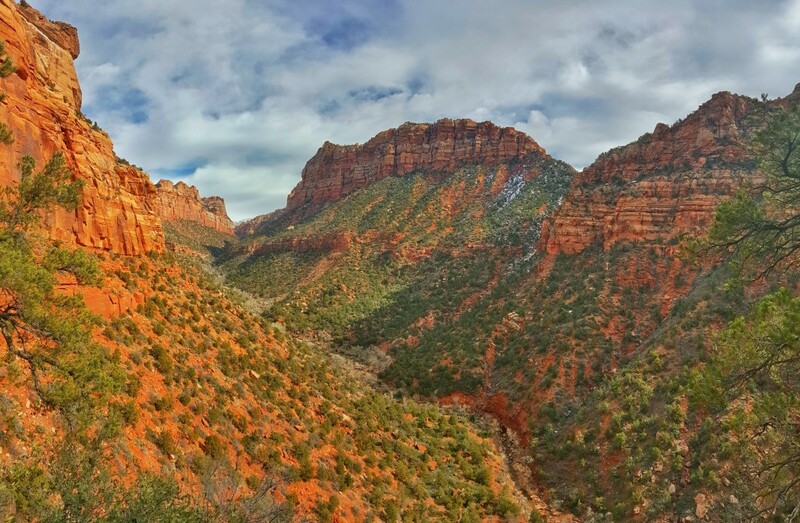 Zion is open year round, however during the peak summer months, the park is extremely busy. They are considering a lottery system due to the traffic inside the park. We recommend visiting during the spring and fall. If there is little snowfall, the winter is also an excellent time to visit Zion with little crowds. During the winter, trails can be icy, so we suggest coming in the fall between September and November. There are limited options for accommodation close to the park entrance. If you want to stay nearby, it is advised to make a booking far in advance. Accommodation is pretty expensive to stay near the park. An alternative is to stay in Hurrican, Utah, or Kanab, Utah, both a 35-minute drive from park entrances. Zion: Bumbleberry Inn is 5 minutes from the park with rooms for $165. Stay in Hurricane, Utah: Super 8 By Wyndham Hurricane Zion National Park has rooms for $85. Stay in Kanab, Utah: The Flagstone Boutique Inn & Suites has suites (up to 4 people) for $100. 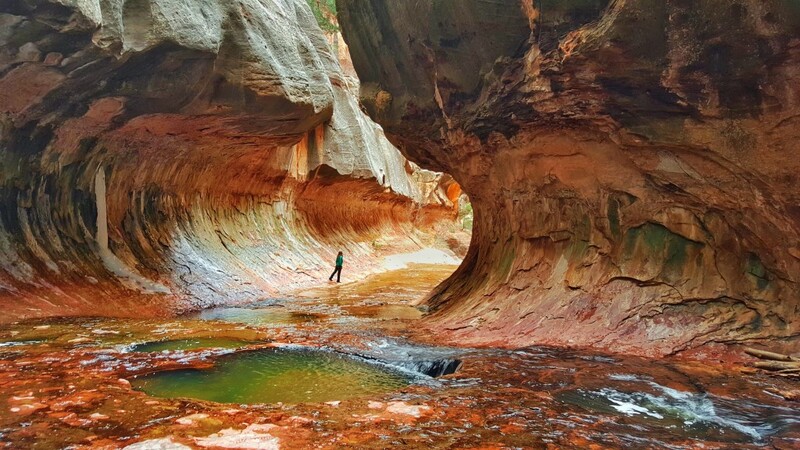 Dozens of canyoneering tour companies offer guided walks near Zion, however, guided canyoneering is prohibited within Zion National Park. 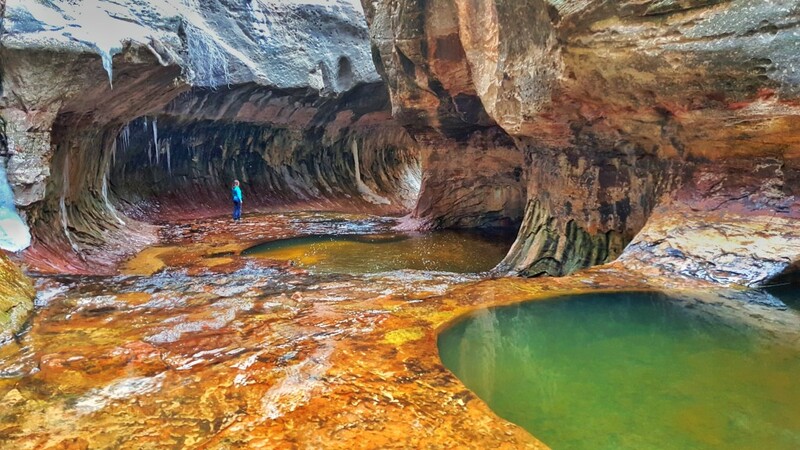 If you would like to join a guided tour, there are excellent canyoneering trips in the area, but the Subway hike cannot be one of them. To rent gear, we recommend the gear shop at Zion Rock Guides. This hike requires a permit for both directions into the Subway. The lottery system can be reserved up to three months in advance. Once that is filled up, there is a last minute drawing 2-7 days in advance. In the unlikely event that there are leftover permits, walk-in permits are available at the visitor center one day before the trip date. Because we went during the winter we were able to get permits the same day. Ask the Rangers for up to date information on the hike, the water level, and for any tips based on current conditions. Permits cost $20 in addition to the National Park fee. If going during the summer, we recommend to show up at or before opening, as there are few permits available. The beginning of the hike is flat and can get muddy. There are excellent viewpoints of the canyon and down to the river. After the flat section, the trail steeply descends into the canyon. The descent is roughly 1,000 feet, all the way down to the river. Once at the riverbed, the trail will stay along the river the rest of the way. Cross the river several times to continue on the trail. For several miles, the trail continues to snake along the river, with small boulders here and there. The landscape and river change the last mile before arriving at the Subway. There are several cascading waterfalls. This section of the hike is very slippery. Try to avoid the slippery dark green moss on the rocks. We all fell at least once, getting our legs wet. 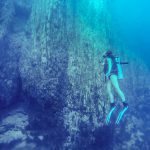 During this stretch, there are sections where waterproof boots would come in handy. Several times, we walked through water 1 -3 inches deep that you cannot avoid. The best places to cross the river are typically right at the edge/top of the cascading waterfalls. After several small waterfalls, the trail flattens and in the distance, the canyon walls begin to close in. At the bottom of the canyon, the Subway is formed. 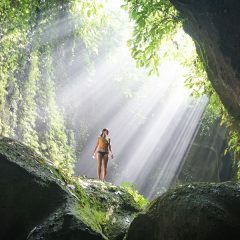 The entrance is grand and obvious, and the reason you came for this hike. Continue into the Subway which snakes to the left. Be careful while walking through the Subway, as there are several deep pools. At the end of the tunnel, there is a large pool that is quite deep and it would need some climbing, potentially with rope, to go any further. This is where you can turn around and enjoy the scenery! The hike is an in-and-out hike, so return the same route you came in.